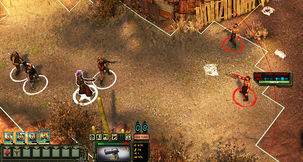 InXile Entertainment has released the Wasteland 2 Director's Cut today, and along with its improved graphics, extra character development options and additional voicework, the best news is that it's free for all owners of the original game. It's a pretty extensive reworking of the post-apocalyptic RPG, which we thought was a fun, if slightly rough and overlong journey. It's extensive enough that your old save games will no longer work with this new version, which has to be downloaded as a standalone title in your Steam library or from your GOG.com account. Digital versions from other retailers will roll out soon. 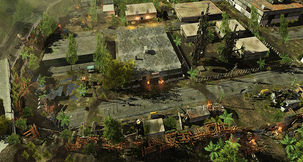 The Wasteland 2 Director's Cut will drop this October 13 as a free update for PC owners of the core game, developer InXile Entertainment has announced. The remastered version of last year's enjoyable post-apocalyptic romp shifts the game engine over to Unity 5, adds a suit of bizarre perks with which to further customise your band of Rangers, and makes a few key tweaks to the combat system. It's another successful Kickstarter campaign for Brian Fargo and his studio inXile Entertainment. The world will be staggering in and out of taverns as The Bard's Tale IV is setting out for adventure to the tune of $1.5 million. Right now the team are continuing with pre-production before they plunge into full development. 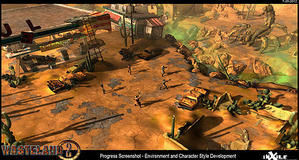 Most of inXile are actually on Torment: Tides of Numenera, and the rest beefing up Wasteland 2. 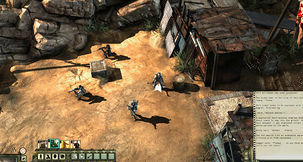 Brian Fargo and inXile Entertainment have just given a small update for Wasteland 2 Director's Cut, which repackages the quite-excellent post-apocalyptic RPG with better visuals, UI overhauls and tons more voiced dialogue. The studio is now thoroughly testing and polishing this superior Director's Cut, which is entirely free for all who own the original Wasteland 2 on PC. There are four new screenshot teasers. There's just under two weeks left for The Bard's Tale IV to lighten our coin purses some more, having already achieved it's Kickstarter campaign goal of $1.25 million. A new stretch goal for RPG veteran Chris Avellone now dangles. Should the heroic PC RPG community manage to throw enough into the inXile coffers then Avellone will join Brian Fargo and his team. He's already helped out on Wasteland 2 and Torment: Tides of Numenera.